Ash columns reach a considerable height above sea level..
GUATEMALA CITY, Guatemala.- Volcano of Fire in Guatemala, after a particularly destructive year, began 2019 with a marked increase in its activity, which leads to a permanent monitoring by specialists. 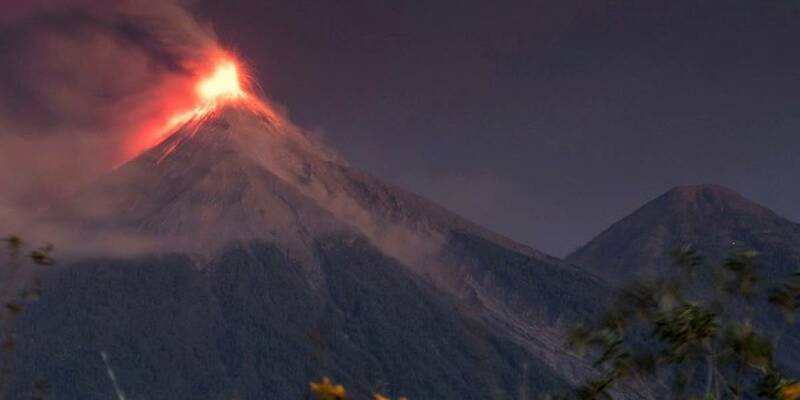 In view of this situation, the Guatemalan Civil Aeronautics Directorate General calls for precautions with air traffic, especially on the east northwest and west-southwest flank, at an approximate height of 4880 meters. The ash columns reach a considerable height above sea level and move about 12 kilometers in the west and southeast direction, causing strong rumblings and moderate shock waves. The National Institute of Seismology, Volcanology, Meteorology and Hydrology warned that the situation comes from the process of filling the crater, hence the avalanches recorded in the last hours in Las Lajas, Seca, Honda and Cenizas ravines.